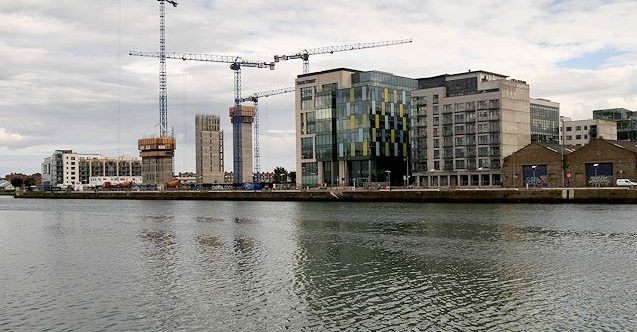 In May 2017, the American bank JP Morgan acquired 200 Capital Dock, a 130,000 sq ft building located in Dublin that marks a slow diversion away from the world’s financial haven of London. The building was bought from Kennedy Wilson, Fairfax Holdings and the National Asset Management Agency. The bank already has 500 employees in London, and Eugene O’Sullivan, leading Chartered Surveyor and Managing Director at Morgan Pryce, explains; “The new 130,000 sq ft building will allow for growth and some flexibility for the bank within the European Union”, as it has the capacity for more than 1000 staff members. Since the Brexit announcement last year, many corporations have threatened to leave London and look for headquarters elsewhere, such as in Dublin and Berlin, causing the market to become unstable and adding to British economic uncertainty. O’Sullivan says; “Until JP Morgan, no one had reached the point of signing leases for new office space or buying office buildings outside London. Thus, JP Morgan’s acquisition is a significant move, not only for London but for Dublin too”. Meanwhile, real estate agents in London are expecting a decrease of both demand and prices in the office market, and Dublin market agents have forecast an increase in demand and potentially asking prices as a result. John Ring, Head of Research at Knight Frank’s Irish branch, says the firm is anticipating between 1million sq ft and 1.5 million sq ft of extra demand over the next five years, which translates into a 10% to 15% boost in the office market. The rapid chunk of increased demand is expected to come from financial institutions, insurance companies and technology companies relocating from London. This will have a knock-on effect for the office market in London – weakening the market status.